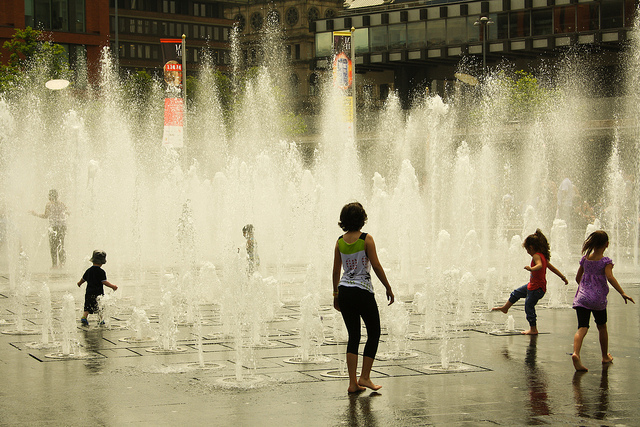 Manchester is an ambitious city which thoroughly imbued with the spirit of creativity and freedom. Being an inexhaustible source of fun and new experiences it offers a plenty of various entertainments for your kids. The only problem is what to choose from all the available ones. Airkix is a wind tunnel with a diameter of 14ft (4.2 meters). This is a copy of Formula 1 wind tunnel, but it’s located vertically. It was built not so long ago, but quickly became a favorite place of locals and foreigners. 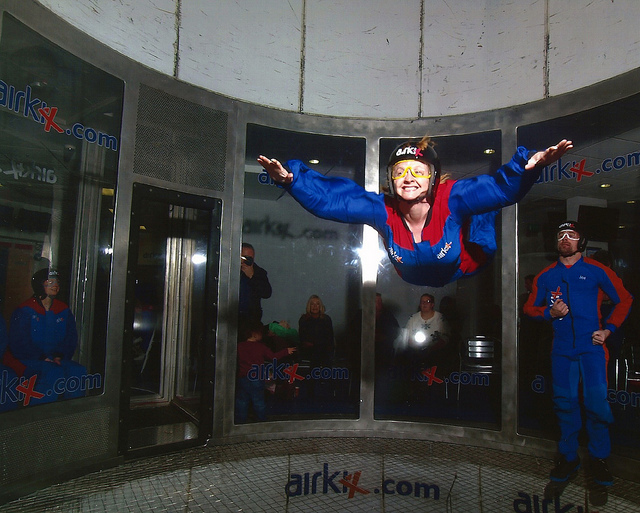 Airkix wind tunnel offers you to experience free fall, and fortunately, this option is also available for kids aged 4 and older. The price includes 1 flight lesson from parachute instructors, who will tell you how to ‘hang’ in the air stream at a speed of more than 240 km/h. 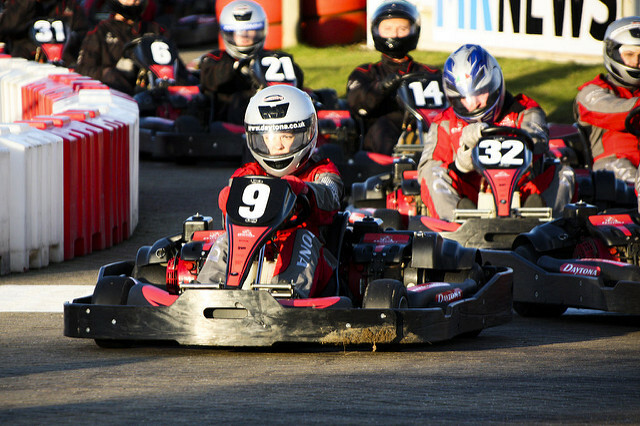 Daytona Go-Karting in Manchester is the largest indoor karting center in the whole England. It offers racing circuits of different difficulty levels, so it’s suitable both for beginners and for experienced drivers. By the way, there’s a separate circuit especially for children. Daytona Center is a very popular spot among professional drivers, and you can also just come there and observe this amazing show. The entrance for spectators is free. This is a huge indoor LEGO-themed center of development and creativity for children up to 12 years old. Children are guaranteed to experience a feeling as if they are in a giant box with LEGO parts. So, your kids can ‘build’ there anything they want. 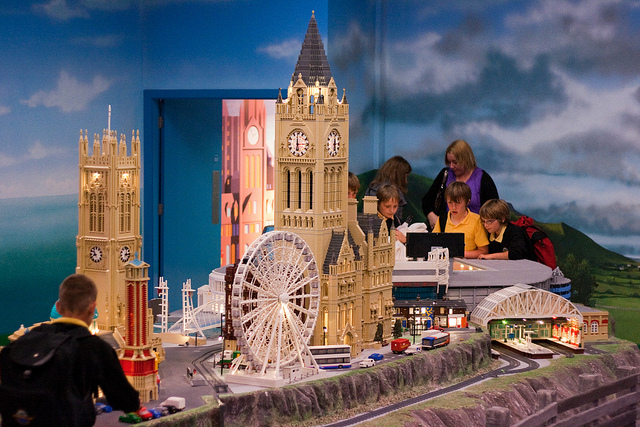 LEGOLAND Manchester also offers to admire lots of famous British landmarks made of LEGO details. Among the other entertainments are laser hunting with monsters, 3D-cinema and Fire Academy – a room with obstacles. By the way, LEGOLAND Manchester is a part of Trafford Centre – a large shopping and entertainment complex. Therefore, you can enjoy incredible shopping while your kid is having fun. Play Factore is the biggest indoor play center in Great Britain, and perhaps this is the only destination in the UK where a ticket for kid is more expensive than for adult. Play Factore offers a 40-foot plastic slide, which leads to the pool of balls and a huge hangar, where you can play laser hunting. Also, there’s a racing circuit for children’s go-karting. If your little one gets hungry, café and pizzeria are at your disposal. Sealife consists of 30 large aquariums with more than 5,200 sea creatures. There’s also a glass tunnel, which allows you to walk along the seabed and admire huge sharks and rays. Another exciting activity of the SeaLife is diving into the aquarium with fish, stingrays and a large turtle Ernie. Pre-training is not required. You need only to have a towel and swimsuit. 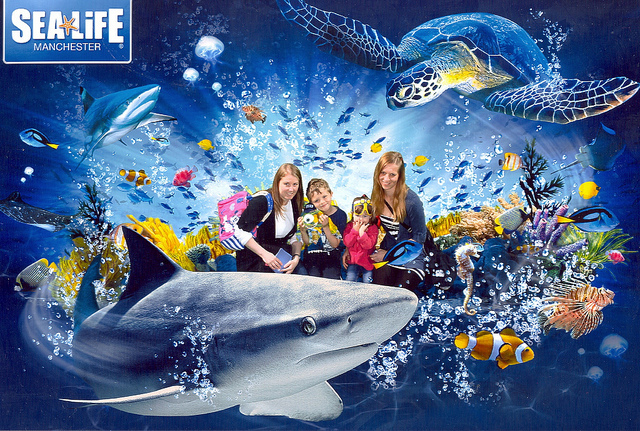 Sealife Manchester also offers specially equipped room for kids. By the way, if you wish, you can feed fish, penguins and turtles there. Keep in mind that online booking is 30% cheaper. As you can see, Manchester is a very interesting destination in terms of entertainments. It offers a multiple selection of spots where you can fully enjoy your weekend with your children. In case you want to make your family trip colorful and unforgettable, visit some of the above-mentioned places. As some destinations are located in Manchester suburbs, you’ll have to get a car rental vehicle to get to them. 7 Spots to Enjoy Tasty Brunch in Chicago Verona: TOP 3 Secret Spots for Shoppers The Breathtaking Rivulets And Waterfalls Spots In Orissa Best things to do in Dubai with kids Amsterdam: TOP 8 places you had no idea about!